I think I am turning into a pancakaholic. Lately, I’ve been making pancakes every weekend, trying out different flavors and adding different fruits to the batter. Here are some of the pancakes that I’ve tried over the years. Unlike other pancakes that I’d made, this pancake made me feel refreshed. The addition of orange made all the difference. Also, the texture of this pancake is amazing, so soft and fluffy. In a large bowl, combine flour, baking powder, salt, sugar and orange zest. Add eggs to the flour mix and combine using a whisk. Add orange juice, combine well. Add melted butter, milk, vanilla extract, combine well to a smooth paste without lumps. Add blueberries and combine well. Add ½ tbsp butter, let it melt. 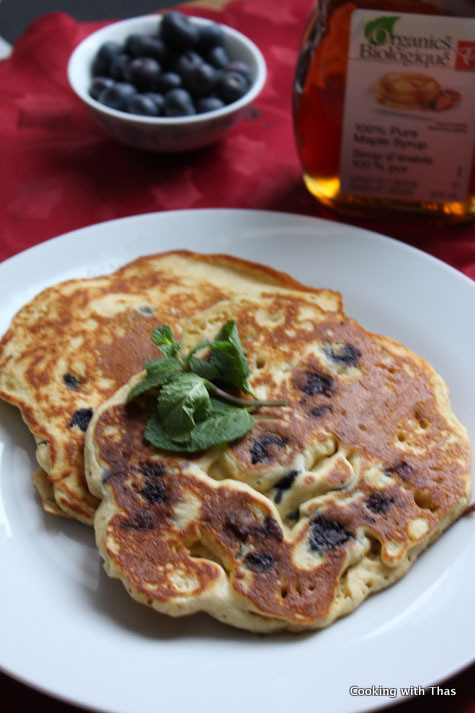 Pour a large spoonful of pancake batter into the pan, cook both sides till light golden brown in color. 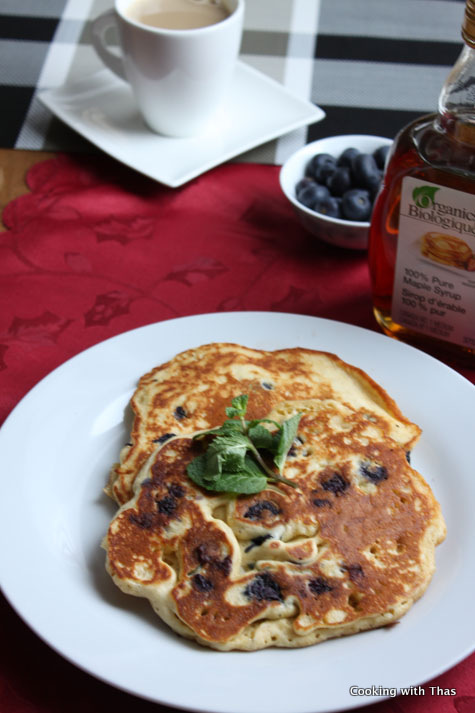 Serve warm and pour maple syrup or honey over the pancakes. You could use clementine instead of Orange. Using butter to make pancakes, really enhances the taste of it.